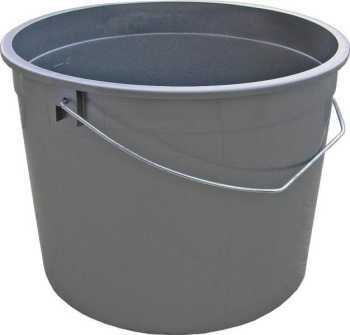 Handy, lightweight, durable paint pail for painting, cleaning brushes, or just about anything. Sturdy 5 quart capacity with handle for easy toting. Your order ships from Virginia by UPS to arrive anywhere in the Contiguous United States within one to seven business days of our receiving your order. This item may be shipped to Canada, Alaska, Puerto Rico and Hawaii and arrives within eight to fourteen days.